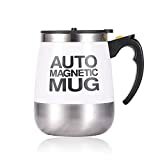 You may be stuck behind the wheel in endless commuter gridlock going nowhere fast, but when you sip coffee from your cool new Hot Rod Heated Travel Mug you'll feel like you're tearing down the road in a caffeine-fueled street racer. 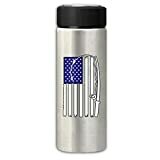 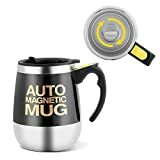 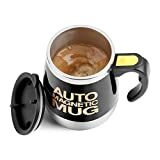 This sleek, thermally insulated travel mug evokes the look of an old school muscle car with a glossy candy-shell exterior, chrome accents, analog gauges, and an on/off toggle switch and features an LED power indicator that glows when you plug it into a 12v DC adapter to keep it optimally heated at all times. 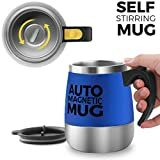 Available in candy apple red or midnight glossy black.